Ready to grow your business? We can help. 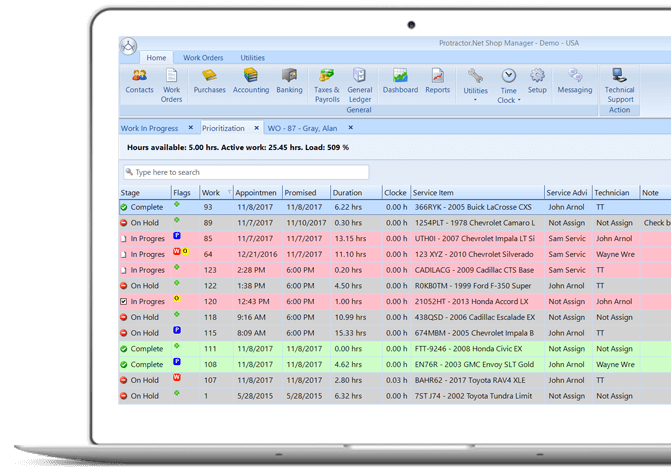 AMS provides and supports the industry’s leading shop management software – Protractor. You’ll be surprised how easily you can put this tool to work for you, maximizing your profits and streamlining your entire business. With Protractor’s cloud based .NET solution, every management task you perform just got easier. More organized. More efficient. More informed. Technicians work more productively. Customers leave happier. Your Bottom Line Improves. AMS works as your partner, helping you capitalize on all Protractor has to offer. Working with you to customize the Protractor software to optimize it for your shop. We get Protractor working for you, smoothly and easily! AMS is no longer an authorized reseller of R.O. Writer. If you purchased R.O. Writer from AMS in the past, there are some services we can provide to help you.